As you know that any quadratic function is graphed with the help of a table of values and this graph further is given as the parabola. There are specific points given under the parabola like vertex, axis-intercept etc. There is one point called as the zero where parabola crosses the x-axis. In case, the coefficient value is squared then the value would be positive and vertex will be named as the minimum point for the parabola. As you can see, we can graph quadratic equation with the help of a table of value. In this post, our main focus is to discuss the x values within that particular table of values. So, how would you know that which x value should you choose when you are graphing a quadratic equation by your own? How can you be sure that chosen x-value is right choice for vertex? These things are important to learn when you are graphing a parabola. Let us see the special formula in mathematics to calculate the length of vertex. This is called the Vertex formula. Once you know the vertex length, this is easy to graph a parabola with maximum accuracy. 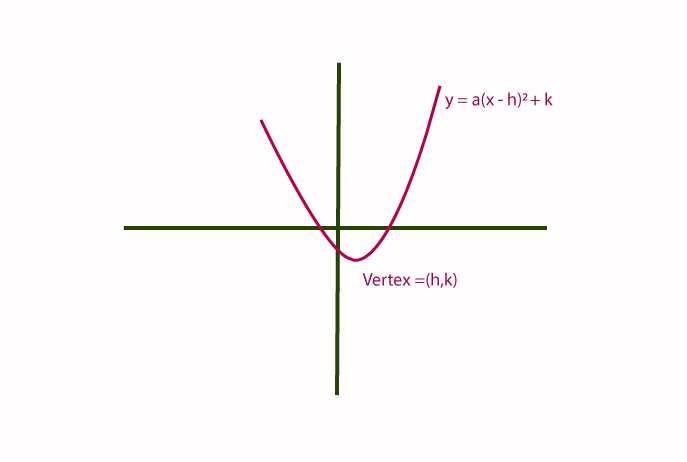 Let us see the vertex formula to calculate the x-coordinate for parabola vertex.